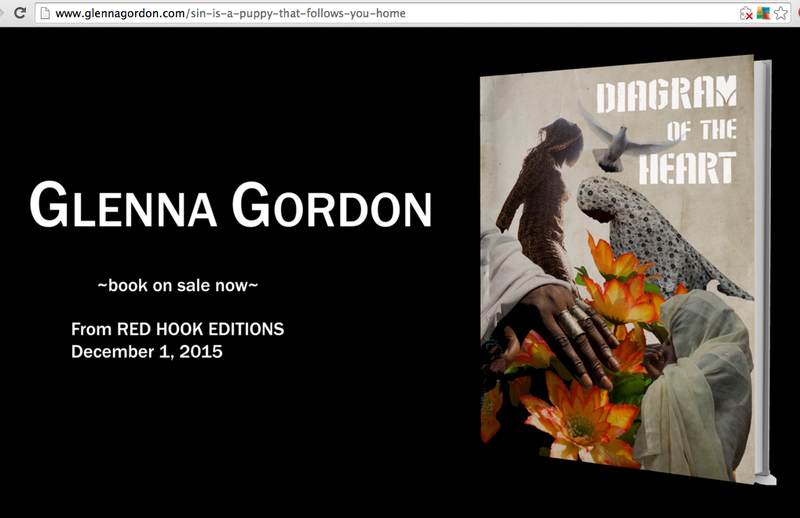 Glenna Gordon’s photo book Diagram of a Heart advertised on her site. NITI is a useful resource for translators, although I was a little worried by the proposed legislation in the National Assembly that would require translators to be a part of the organization before doing this work. When the bill is passed and it becomes law, it will make the practice of translation and interpretation regulated in such a way that it would be an offence for those not authorized to claim to be members of the profession to practice, exactly like in other professions: accountancy, law, medicine, engineering etc. Of course, such associations are excellent resources and can do much to “professionalize” the industry. Translators should be as respected as accountants, for example and renumerated accordingly. As such, it is a good idea to have a respected body that can vouch for the skill of translators and advocate for them. However, I am concerned about creating laws that force creative professionals to be certified to practice their craft, especially as it seems that so far NITI has been more focused on linguistics, interpretation, and technical translations than literary translation, which is much more closely related to creative writing. When someone commented that the translations of advertisements on the radio about birthdays were wrong because “there is no birthday in Hausa culture,” I worried that the forum could become more about policing narrow ideas about culture than supporting people interested in doing creative translations. That said, it is good to have an association to belong for that is looking out for the rights of translators and setting standard rates and skill levels that both translators and those who commission them are encouraged to meet. The fact that he was the only one at a translation conference in Kano to talk about translating the thousands of novels that have built up one of the largest indigenous-language reading publics in Africa, indicates that there is a serious gap between the intellectual translators in the academy and the readers and writers creating the work. Several professors made condescending comments about contemporary literature after his presentation, even proposing that the novels were all “translations” from Western novels. Clearly, there is much more work that needs to be done. And at the moment, much of this work is being done outside of the university. Coincidentally, this conference comes at the same time as the opening of an exhibition in New York featuring photographs of several Hausa novelists, including several of my translations of short novel excerpts. A few years ago, photojournalist Glenna Gordon got in touch with me and asked if she could talk with me over Skype about culture in northern Nigeria. She had been doing a series of photographs on Nigerian weddings, but thus far most of the weddings she had photographed had been in the south. She was planning to go to Kano and wanted to know about northern Nigerian culture. I told her about my own research on Hausa novels and films and sent her several academic articles on Hausa literature and culture. But I told her that the best thing for her to do would be to read Balaraba Ramat Yakubu’s novel translated as Sin is a Puppy by Aliyu Kamal (available on Amazon here). Glenna read it and was enchanted, featuring it as her “springtime read” at Guernica, where she is photo editor. And later when she came to stay with me for a week in Jos while working on her wedding project, she photographed some of my collection of “soyayya” novels and told me she wanted to do a photography project on Hausa women who wrote. Although I had started my own project writing about Hausa novelists several years before, and had given an editor a brief chapter in a book to be published in Nigeria that has yet to come out, I was in the middle of the slough of despond that is ABD, trying to finish my dissertation. And I thought it would be a fine thing for Hausa novelists to receive publicity in the kind of publications Glenna had access to like Time and New York Times. So, I contacted several writers’ groups asking women if they would be interested in being photographed for the project, and I put her in touch with a few other writers I knew. She took it from there, visiting Kano, Kaduna, and other parts of the north off and on for two years taking photographs of writers, weddings, and other things. My own non-artistic photo of some of the books I was sending her before I shipped them off. with summarizing some of the novels and translating excerpts for them for the exhibition. I did this in July, spending a week visiting writers, buying their novels and other novels in markets and at used book stalls, and interviewing them about their writing. As I read Hausa slowly, I recruited my friend Sa’adatu Baba Ahmad, a journalist and also one of the novelists Glenna has photographed to help me read and summarize some of the novels. 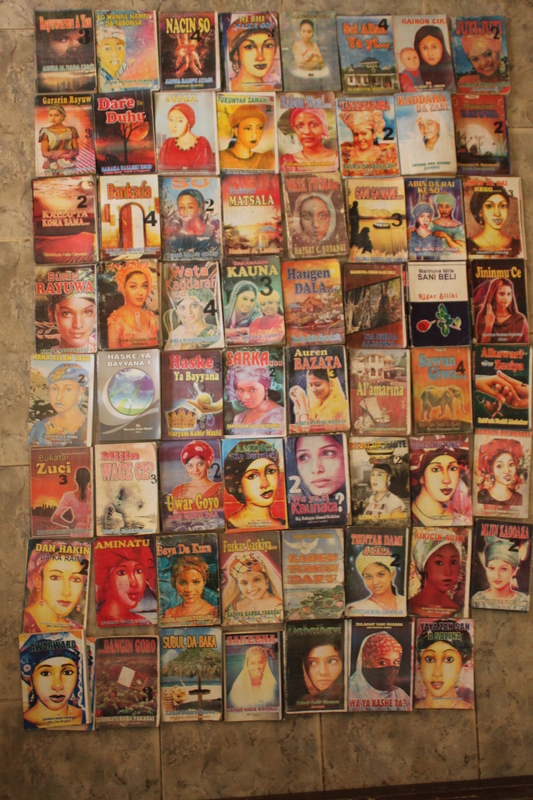 She gave me ten summaries in Hausa, and then I wrote up the rest, depending (probably too heavily) on my interviews with the novelists about their books and from my own readings. I also translated five excerpts from novels by the authors Glenna was featuring: Balaraba Ramat Yakubu, Farida Ado Gachi, Hadiza Sani Garba, Jamila Umar, and Sa’adatu Baba Ahmad. After the exhibition has been up for a while, I will put up a few excerpts here. The Open Society exhibition is opening this evening in New York from 6-9pm and will be open until 13 May 2016. Glenna has also put together a book Diagram of the Heart featuring 75 photos and a few of my translations, which is currently available for pre-order on her site. (And now available on Amazon) Her photos were also earlier featured in the exhibition Photoville in Brooklyn. If you are in New York, check out the exhibit at Open Society at 224 W 57th St, New York, NY 10019. If you are not in New York, consider pre-ordering the book. This entry was posted in African literature, Hausa literature, Photography and tagged Balaraba Ramat Yakubu, Diagram of the Heart, Farida Ado Gachi, Glenna Gordon, Hadiza Sani Garba, Hausa culture, Hausa literature in translation, Hausa novelists, Hausa women's literature, Jamila Umar, littattafan soyayya, Nigerian Institute of Translators & Interpreters, Nigerian literature, Nigerian women's literature, Sa'adatu Baba Ahmad, Soyayya, soyayya books, Translation in Nigeria. Bookmark the permalink.